Well this happened on Twitter! 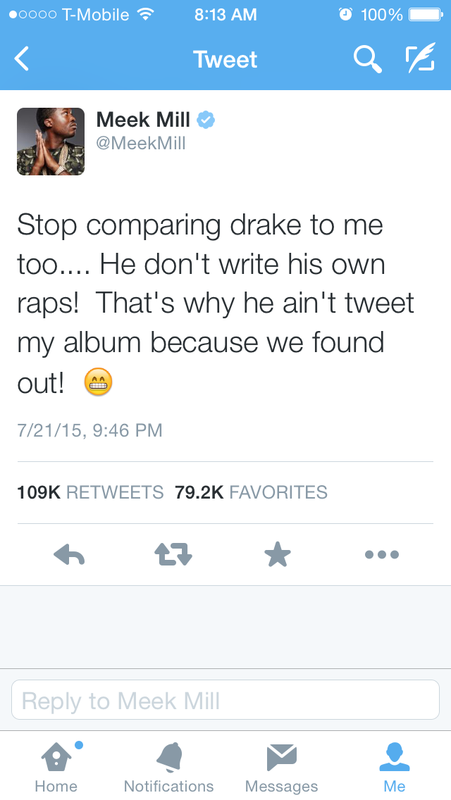 Meek went on a rant and said that Drake doesn’t write is own lyrics and he has a ghost writer! Twitter BLEW UP!! But everybody is wondering, what the hell is going on? In case you missed it Drake is featured on Meek’s album on a song called R.I.C.O. Next Next post: Did Drake Bite From This Dude?